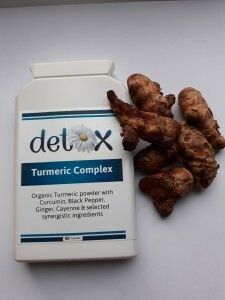 Turmeric herbal combination plus immunity support: A unique combination of organic turmeric powder with synergistic extracts, herbs and nutrients, which together supports bones, immunity, as well as energy levels, cognitive function, hormonal balance, acid-base metabolism, macronutrient metabolism, nails, skin, hair and more. Each capsule combines organic turmeric powder PLUS high-potency turmeric extract (95% curcumin - the active ingredient) with ginger root extract (5% gingerols), cayenne extract (100au capsaicin), piperine (black pepper) extract, zinc citrate and vitamin B6. The piperine has been included to potentiate the absorption and effect of the other herbal actives - a well-known herbalists' combination. Ideal immune system support, as well as for use during any exercise programme, by older adults and anyone looking to support normal hormone activity, bone health plus all round well-being.